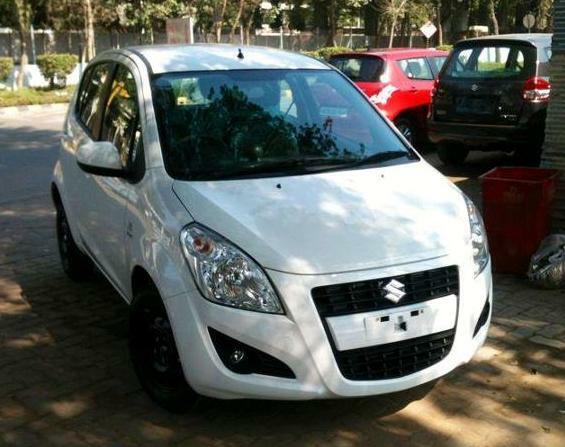 Face lifted Maruti Suzuki Ritz spotted without camouflage! 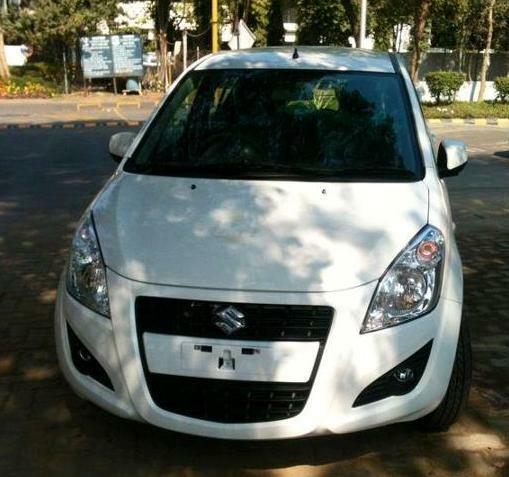 A Maruti Suzuki Ritz face lift was spotted completely undisguised in a stock yard. Last month, CarToq had reported about a Ritz facelift test mule being spotted in Gurgaon and now, since the Ritz facelift has reached stock yards, the launch can be expected in the next couple of months. Update: New Ritz diesel launched! The spy photos reveal that the new front of the Ritz will come with a redesigned radiator grille and clamshell bonnet. The headlamps get minor changes while the fog lamps get a new housing that looks sporty. The side profile of the Ritz remains and boomerang shaped taillamp cluster remains unchanged. Overall, the front of the new Ritz looks more mature and bold. Photo: The new Ritz looks better although a new rear could have made it more appealing! There are speculations that Maruti Suzuki may introduce new features such as steering mounted audio controls and a 4-speed automatic transmission on the new Ritz. The new Ritz may also get a top-end diesel variant ZDi just like the new Swift which also comes in ZDi variant. The upcoming Ritz is expected to get the new 1.2-litre K-series VVT petrol motor and the 1.3-litre DDiS diesel motor from the new Swift. The 1.2-litre petrol power mill in the new Swift puts out 86 bhp of power and has an ARAI-certified mileage of 18.6 kmpl. The 1.3-litre diesel power mill of the new Swift puts out 75 bhp of power and has an ARAI-certified mileage of 22.9 kmpl. Expect similar fuel efficiency figures for the new Ritz too because the outgoing model returns an ARAI-certified mileage of 17.70 kmpl for the petrol version and 21.10 kmpl for the diesel version. With regard to pricing, we expect a mild price hike across all the variants of the new Ritz. At present, the Ritz is priced in the range of Rs. 4.16 lakh – 5.16 lakh for the petrol version and Rs. 5.18 lakh – 5.73 lakh for the diesel version. The Ritz has been in the Indian small car market since May 2009. The company sells around 4,200 units of Ritz every month. When compared to the Swift, the Ritz offers more headroom and boot space too. However, its awkward rear styling is a bit of let down for a few buyers. Do you think the new Ritz with the face-lifted front, will appeal to more buyers? « Hyundai Sonata versus Skoda Superb!